CAN Liverpool win the Champions League? 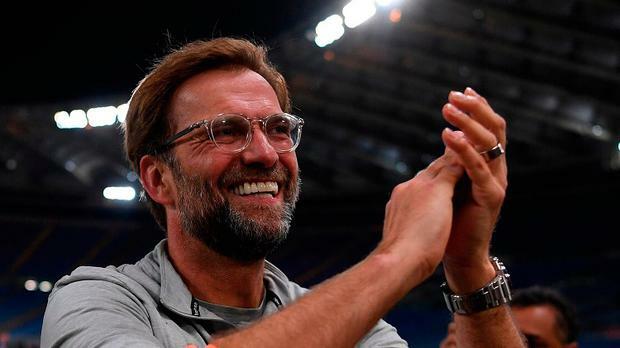 Of course they can but I’d hate to have to stake my life on Jurgen Klopp lifting the trophy in Kiev at the end of the month – even if they were 3-0 up with ten minutes to go in the final. Nothing I’ve seen in the two Champions League semi-finals which were completed during the week has shaken me from my first thought on Klopp. He’s a one trick pony with a very good trick and if he holds his nerve, it could be good enough to win the final. That would be a remarkable achievement by any standard and all the more unlikely given the background. Every game Liverpool play carries the potential for brilliance and brittleness and I can see no sensible way of predicting which of the two will emerge during the 90 minutes. He has no goalkeeper, he has one decent centre-back, one good full-back, the magnificent James Milner in midfield and three dynamic strikers who strike terror into opposing backlines when they are running freely. I can’t praise Milner enough and I think he is right up there as one of the best players in England this season. His influence is visible all over the pitch and if I was Gareth Southgate, I would be knocking on his door now to try to persuade him to play for England in the World Cup finals in Russia this summer. Milner’s extraordinary workrate and versatility is crucial in this Liverpool team because he plugs so many gaps but not all of them. Klopp’s defence is a mess. He has nobody who can get on the ball in midfield and take the heat out of a game, the type of player who could have made Liverpool’s experience in the Stadio Olimpico so much more comfortable. All of that said, if I sat down with Klopp and attempted to put the case for filling the gaps I feel are glaring, he would probably look at me and have a good laugh. He would then point to the fact that he is in the Champions League final and that he has done it his way, with his players and despite the problems his team has with basic defending. He would argue that he has done this while showing a profit in his transfer dealings and in the same season he lost Philippe Coutinho. He would point to the exhilarating spells of attacking football which put away Manchester City and Roma in the first-half of the first-leg at Anfield as the reason he does what he does. To be honest, I couldn’t argue with him on that because when they are good, Liverpool are very, very good indeed. I can’t deny that they are brilliant to watch and that the amount of goals they score and concede have entertained me in a big way all season long. But I can’t ignore the fact that, despite all the drama, there was some awful football on show in Rome and some truly woeful defending and goalkeeping. I believe that Klopp could give himself and his team more options so that when the crank comes on, as it did with Roma at Anfield and in midweek, Liverpool don’t always fall back into a pattern of backs to the wall defensive chaos with little organisation on view. Mind you, when he analyses the other semi-final closely, he will find plenty of reasons to think that Real Madrid will also be vulnerable to his fast movers up front. I was disappointed in Madrid and I spotted something which made me wonder about Zinedine Zidane’s control at the Bernabeu. Brazilian midfielder Casemiro has been a big player for Zidane all season but he was dropped for the second leg of their clash with Bayern Munich and that was a big surprise to me. It suggested that perhaps some old-style Bernabeu, back-seat team selection was going on and that Zidane was under orders. That would be very good news for Klopp. Anything that is bad for Real Madrid is good for Liverpool and I can’t think of anything worse than a coach being forced to drop a player because of an instruction from above. That’s just a suspicion though and I still give Real Madrid a great chance of beating Liverpool, particularly if Ronaldo delivers. He was very quiet against the German champions. It might even come down to that. If he does what he can do, I find it hard to see how a defender like Dejan Lovren would cope. He struggles with the basic concept of where a defender should be on the pitch at any given moment. That would make this game a virtual shoot-out between Ronaldo and Mo Salah and I don’t think any neutral would say no to that.